Think about the people that are throwing these nips out their car windows driving around with a buzz on. I have also walked down some roads where I was surprised at the amount of nip bottles. There used to be a thriving wild population along the Connecticut River and surrounding areas.Some of the best spots are now shopping malls and housing development. It sure was nice to be hunting birds a few minutes from home. i have a friend who owns two small markets that specialize in meats.His beef products have always looked artificially red to me so I asked him one day if the beef was treated with something to look that way.He admitted that it was treated with something but he didn't say what it was and I could tell he didn't want to continue the conversation. Even bigger fans of birdseed. Who knew foxes were big fans of birdseed? Large wildlife in my backyard. Anyone ever use St Croix Ben Doerr Rod? I have two of those rods;one spinning and one conventional. I still use the spinning rod but I wouldn't sell either for 20 dollars. They still do the job. The figures in the last post are all well and good but wasn't it just a few years ago a new plan was put into place to bring back the codfish to sustainable levels and we all know how that has worked out. 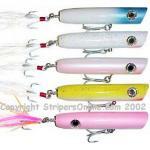 I think especially with Striped Bass we should err on the side of caution because of their recreational value. Saw a seal this morning at Menhaunt beach.Looked like it had the big head of a grey seal. Just heard of another person bitten by a shark,this one at Newcombe Hollow Beach in Wellfleet. I was poison ivy immune when I was a kid; played in it all the time.The other kids got it but not me.When I was about 35 I was fishing a small pond at the Cape that was loaded with it. I then found out what it was like to get it. I learned to avoid it after that day. Do you think increasing comm bass days is a good idea for a slow bass year? Does the DMF think that not being able to fill the quota at a time somewhere near previous years means nothing. Do they even consider that bass numbers could be less than they think they are. Saw this taking place in front of the path a few years ago. I heard then that there was only one permit for this type of fishing.